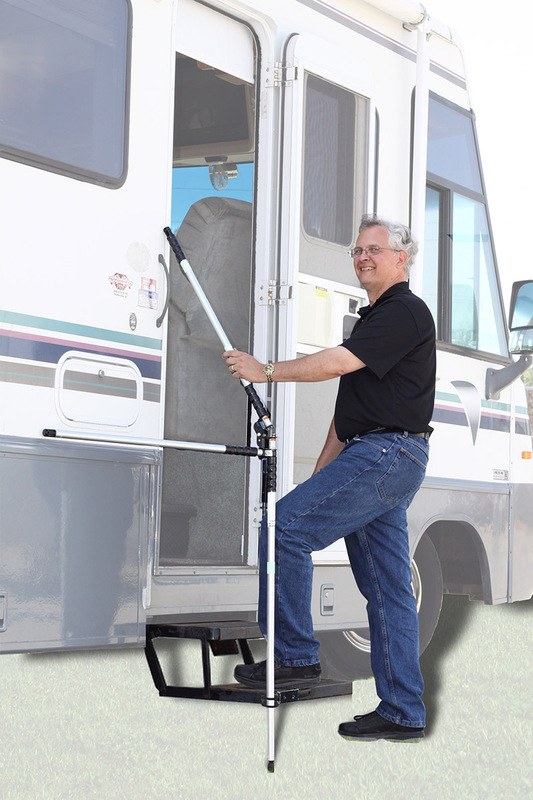 The upper door mount GlowGuide arm will run up to the door entryway, the lower step mount arm will run down and attach to the step system, the strut arm will run diagonally and attach either to the bumper or the back of truck campers, or to 5th wheels with slideouts and non-slideout applications. 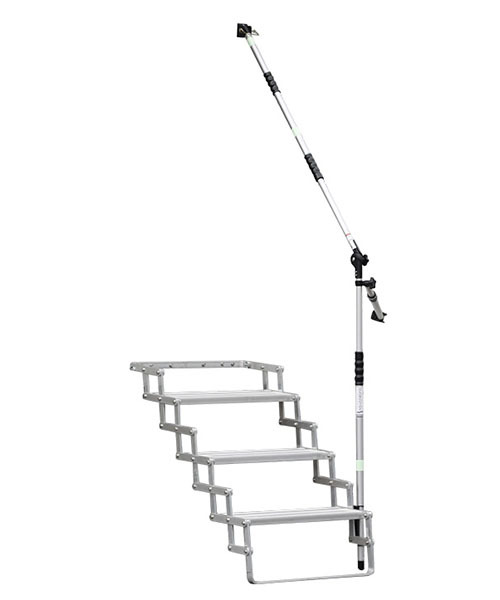 Due to all three arms being telescopically adjustable, the mounting location at the doorway for the upper arm and the mounting location for the strut arm as well as the step mount are not specifically set and can be mounted within a range to best suit each particular installation application. 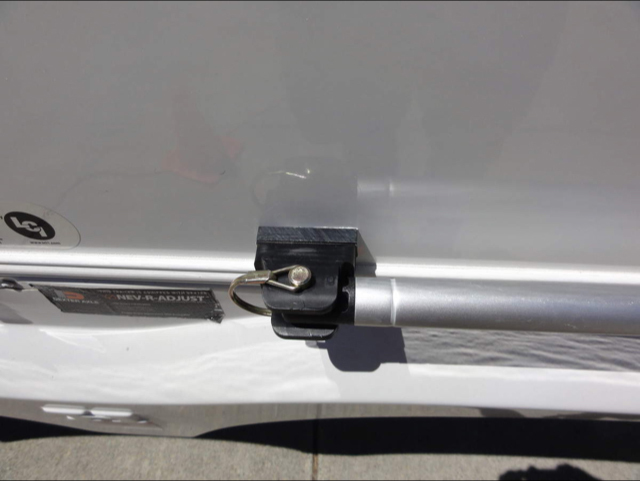 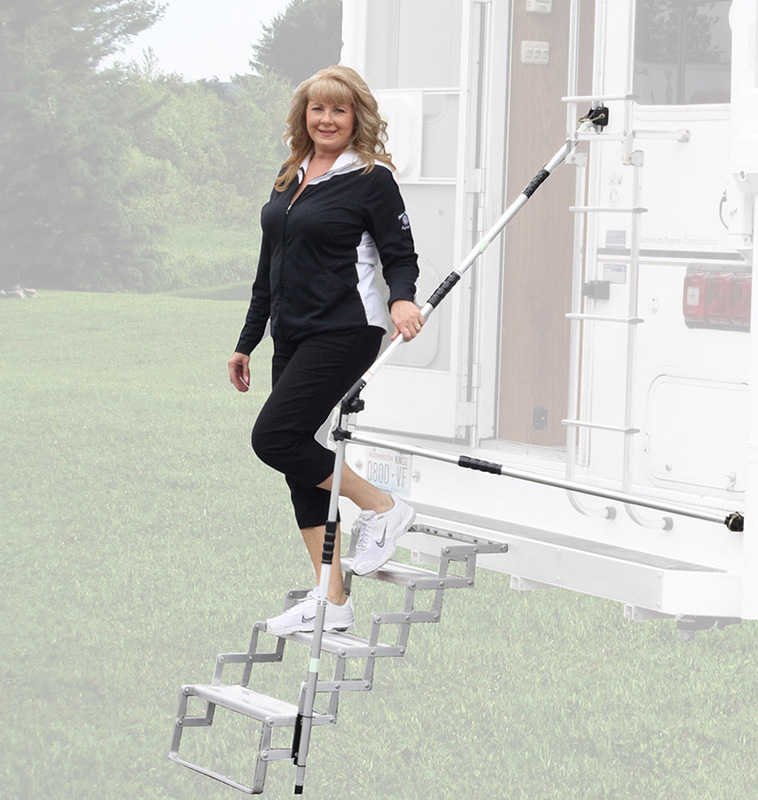 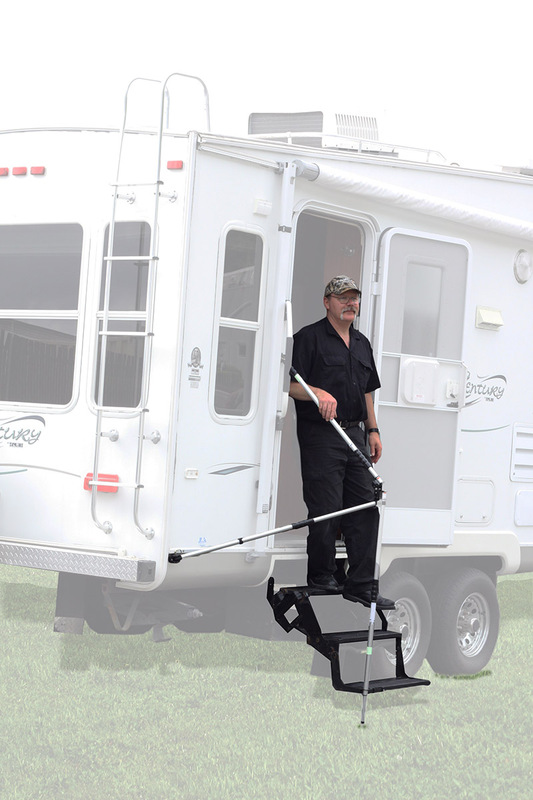 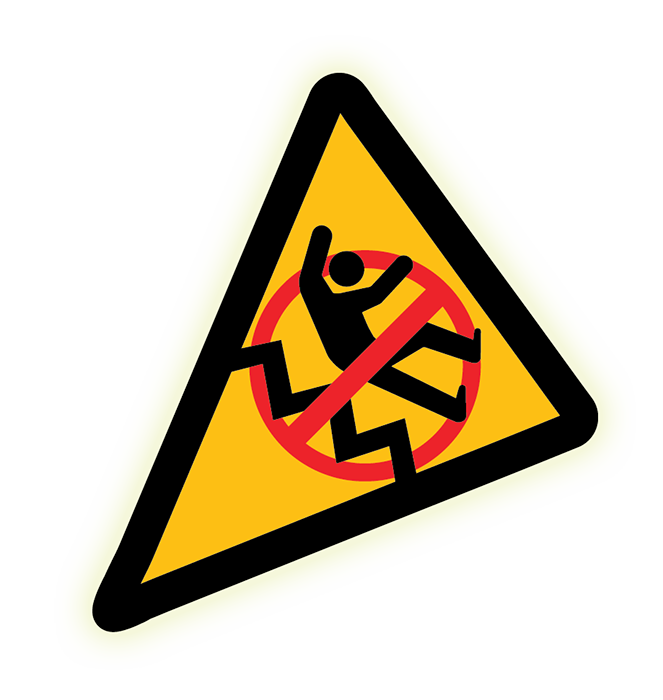 Torklift also manufacturers a lock system to secure the handrail to the outside of the RV while in use to prevent theft and is sold separately. 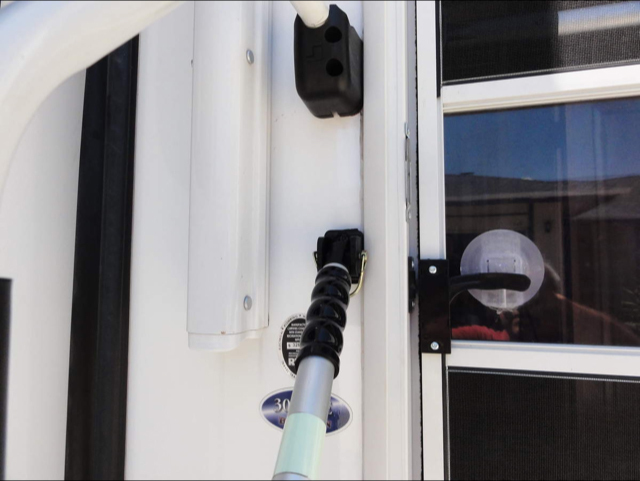 The GlowGuide Lock (S9600) is critical in securing the safety of your investment and is keyed alike so your lock can be matched to your GlowGuide and GlowStep, Stow N’ Go or GlowStep Revolution. 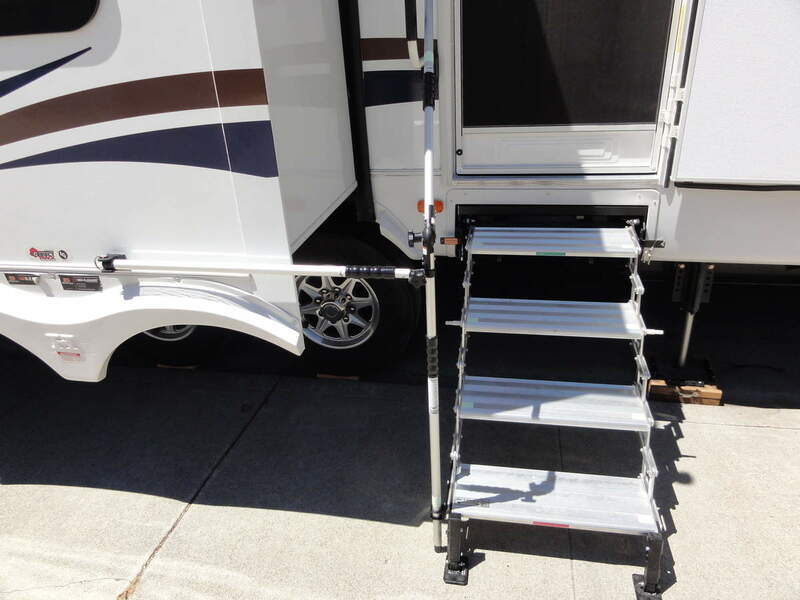 This removable stair railing lock has replaceable weather caps over the key holes to prevent weather damage and road grime. 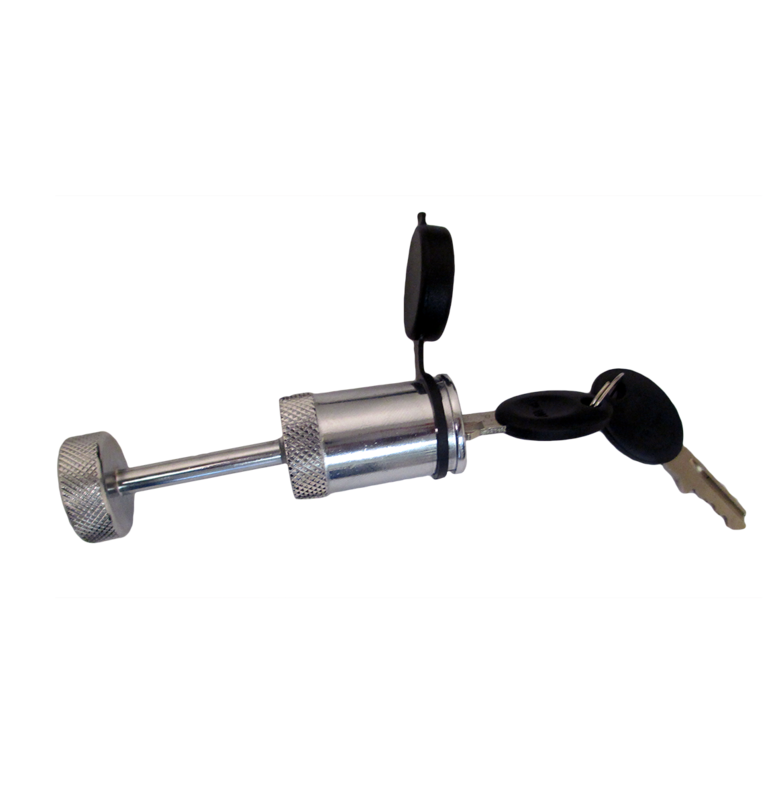 Made of steel with automotive quality plating, the GlowGuide Lock is made in the USA and comes with our Legendary Lifetime Warranty. 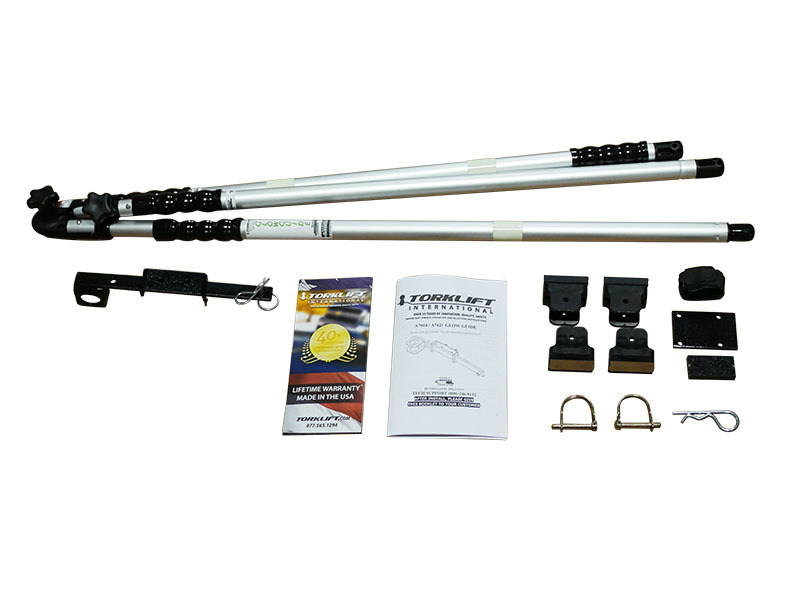 Handrail arms telescope from 32" to 53"